Peppermint 5x3x11" Cello Bags feature red and green peppermint candies sprinkled on clear cello. A great design for Christmas! 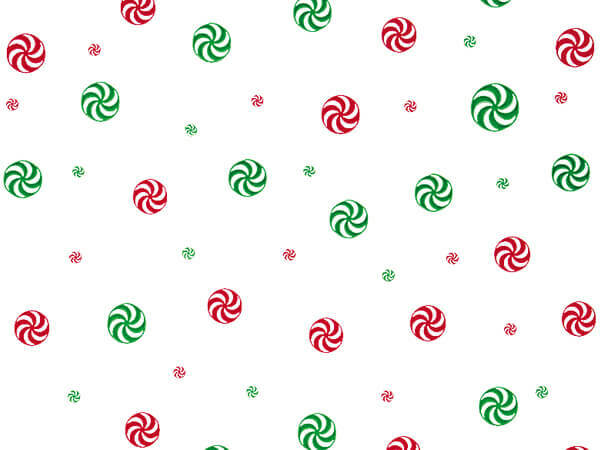 Coordinates with our Peppermint Cello Rolls. Top quality! Made in the USA. Clear Cello Bags with colorful printed designs are made from 1.2 mil polypropylene in a variety of prints for Christmas and holiday packaging. They are heat sealable and offer excellent moisture & aroma barriers. Just fill, twist, and tie with our ribbon or twist ties. Available in 4 popular sizes, our cello bags will put the finishing touches on your gift baskets, candy, nuts or any small items. Complies with FDA regulations for food packaging. Packed in boxes of 100.